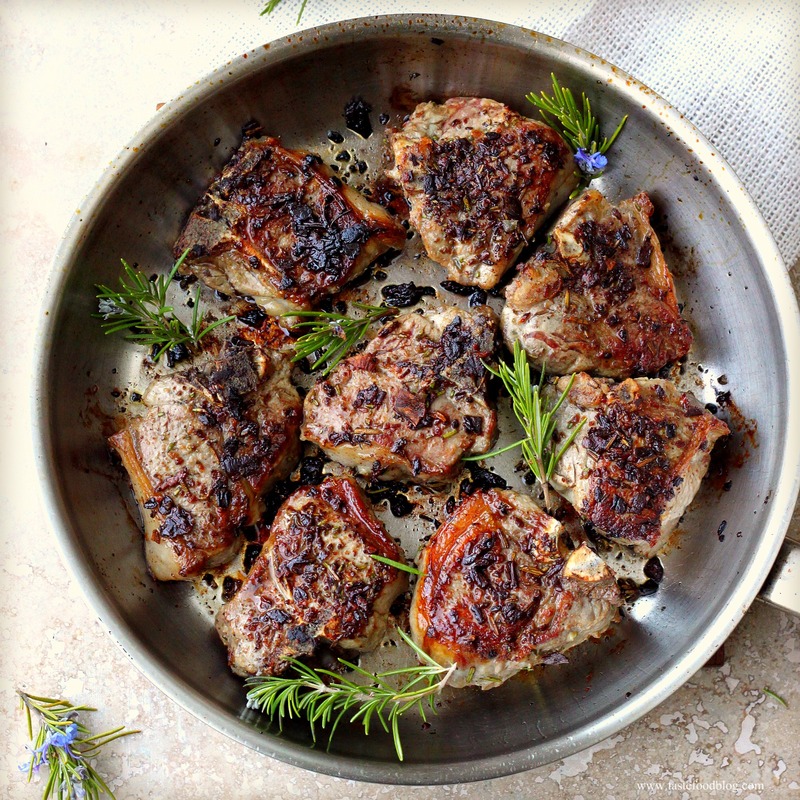 Crushed dried porcini mushrooms tossed together with finely chopped rosemary create an umami-rich crust for meat. This is a method I often use with beef. Then a good friend told me about a similar recipe she loves with lamb. 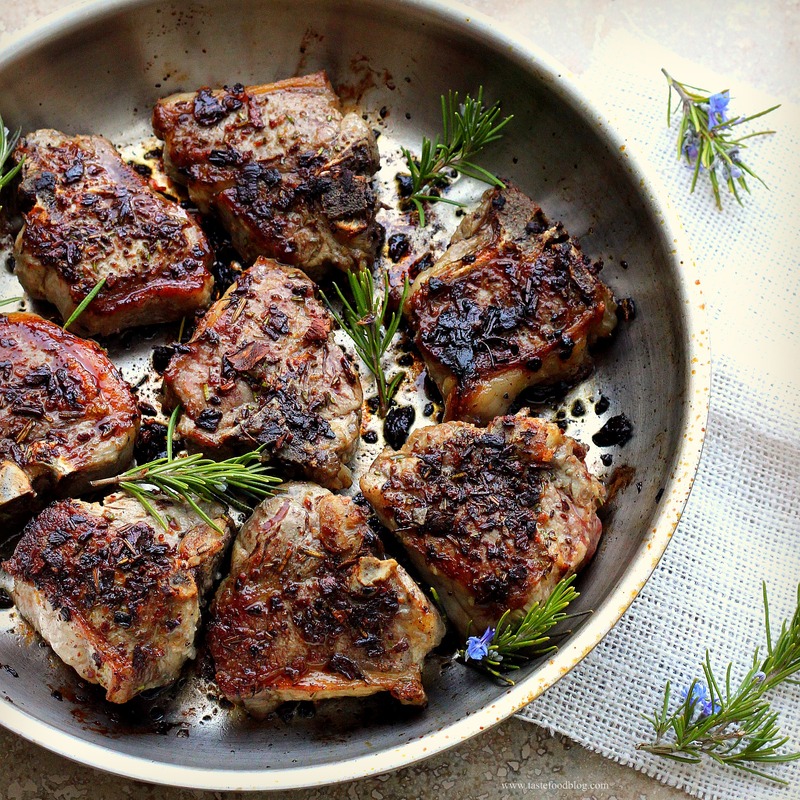 So I had to try – especially since spring is the season for lamb. I used a food processor to blitz the mushrooms before continuing to chop them by hand with the rosemary, resulting in a coarser rub. A spice grinder will create a finer crust. This recipe is also delicious prepared on the grill. Makes 8. Season the lamb with salt and pepper. 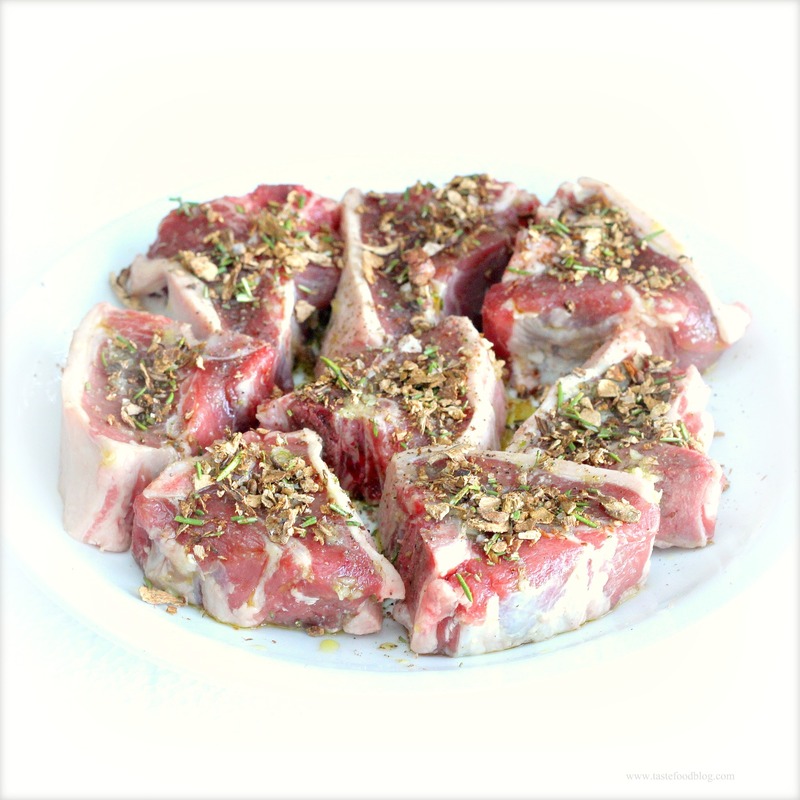 Combine 2 tablespoons oil and the garlic in a bowl and smear all over the lamb. Cover with plastic wrap and refrigerate for at least 2 hours or overnight. Thirty minutes before roasting, remove the lamb from the refrigerator. Combine the mushrooms and rosemary in a small bowl. Coat both sides of the lamb with the rub and let stand at room temperature for 30 minutes. I was tempted to call this post The Girl and the Pig, because, you see, I am hooked on bacon. More specifically, I am hooked on my own home-cured bacon. Prompted by the latest Charcutepalooza challenge, I cured 6 pounds of pork belly with a savory rub of salt, sugar, peppercorns, bay leaves and garlic. Sounds like a simple blend, yet when left to marinate and cure over a week, this basic recipe yielded swoon-worthy results. For my first attempt, I pointedly avoided using lots of sugar or smoking the bacon. I wanted a savory result undistracted by excessive sweetness or the aroma of smoke: I wanted to taste the real deal, and it was worth it. What to do with 6 pounds of home-cured bacon? (Oh, to be so lucky to have that problem.) So far, I’ve eaten quite a bit, frozen half and given some away. 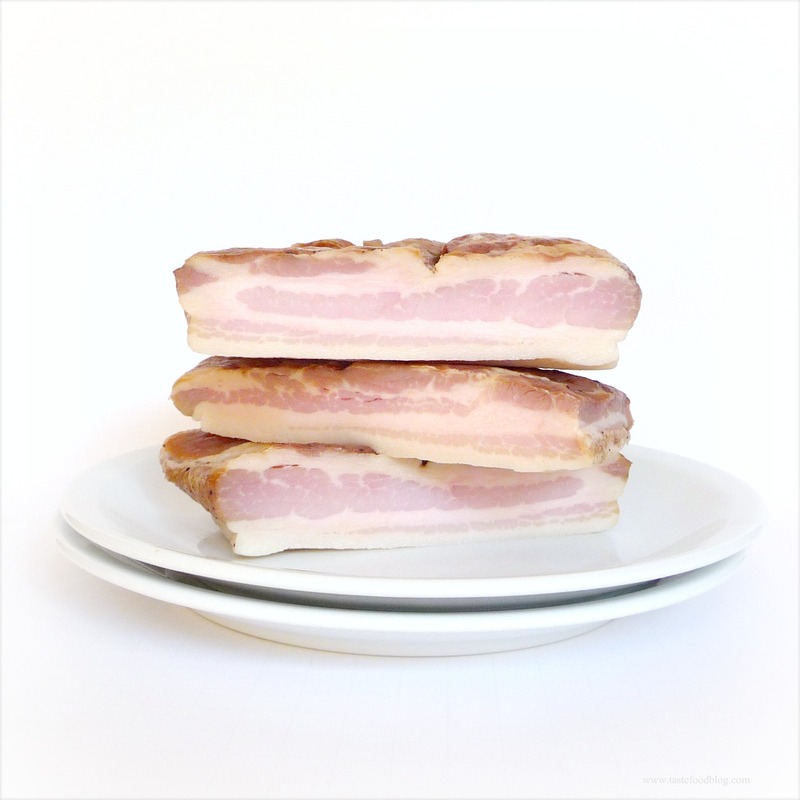 Normally, I use bacon as an ingredient in salads, stews and pasta dishes, but this bacon is so good, I only want to eat it straight up, fried in a skillet or baked in the oven. So, in the spirit of simplicity, I decided to caramelize bacon chips, roasting them in the oven with spices and the previously forsaken sugar. Sweet, salty, crispy and spicy – the results were utterly decadent. Now the question begs: Is this a dessert, snack, condiment or food group? I say all of the above. 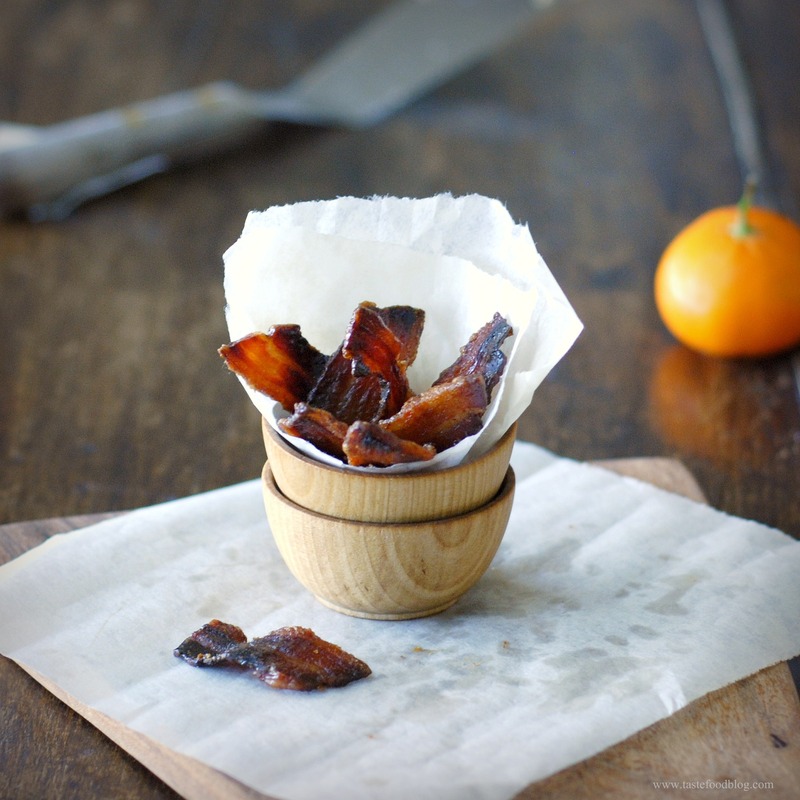 If you can stand it, let the bacon chips thoroughly cool once removed from the oven. They will continue to crispen as they cool. Preheat oven to 350 F. (180 C.) Pour sugar onto a small plate. Dredge bacon in sugar, making sure that a good amount sticks. 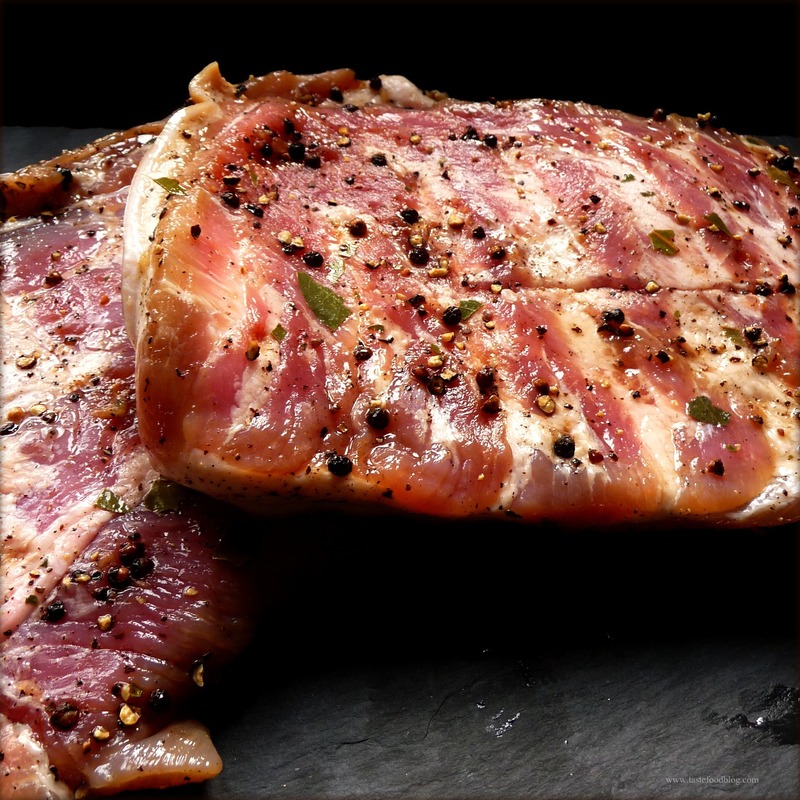 Lay bacon in a single layer on a grill pan. Sprinkle with cayenne and cinnamon. Bake in oven until deep golden brown, without burning, turning once with a spatula, 12-15 minutes. 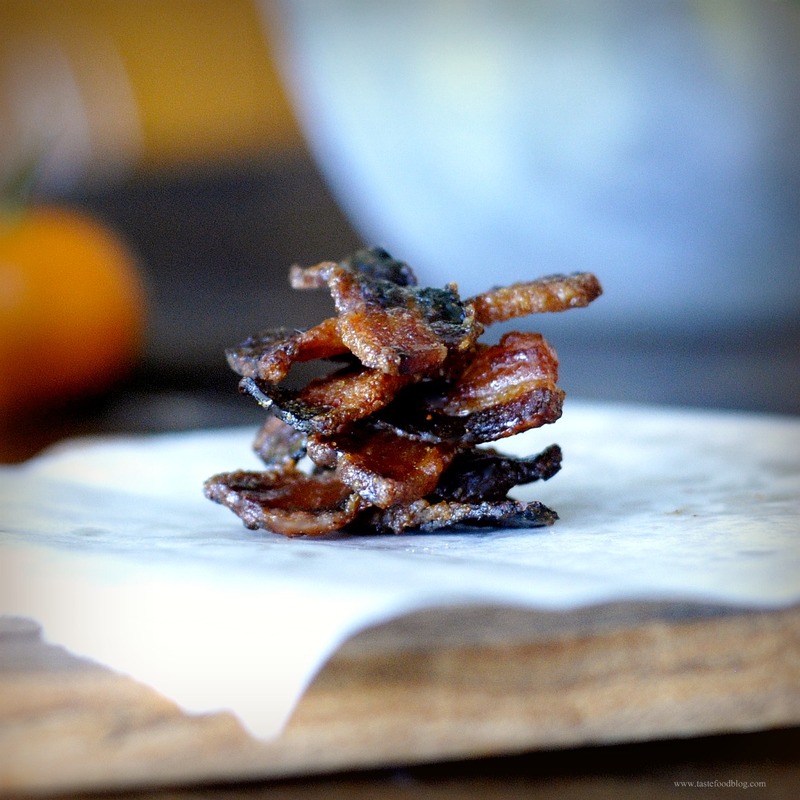 Remove from oven and transfer bacon to a plate lined with parchment paper. Cool completely. An inspirational idea hatched by Cathy Barrow and Kim Foster and now partnering with Food52. It celebrates a Year in Meat, where participating foodies and bloggers will cure, smoke and salt their way through Michael Ruhlman’s bestselling cookbook Charcuterie.